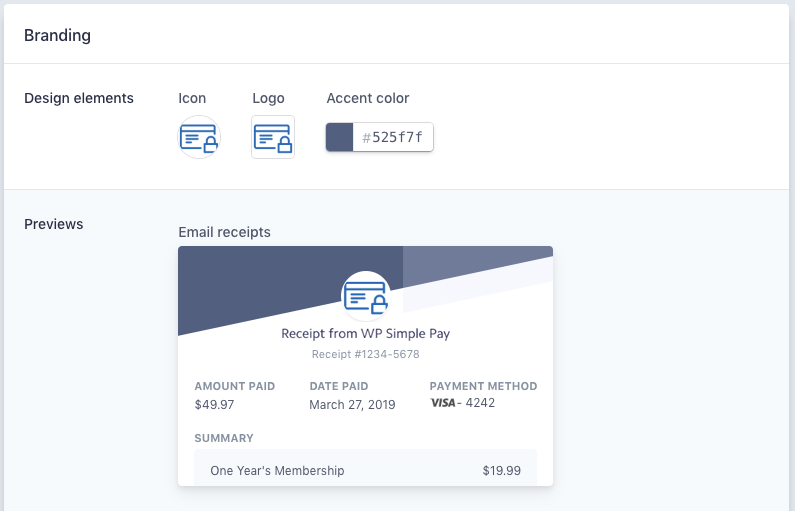 From your Stripe dashboard, you can configure email receipts to be sent to your customers directly from Stripe. To enable and customize receipt emails go to Business settings → Customer emails (or click here). Read more about customizing email receipts here. To view or send email receipts within individual Stripe test payments, open the test payment in Stripe that you want to view or send from and look for the View Receipt and Send Receipt links in the Receipt history section. Stripe only sends email receipts for payments that are made with your live API key or through your live dashboard, so if you are expecting an email for a test transaction, one will not be sent. Do Stripe’s built-in email receipts not provide enough customization for you? Did you know you can also use Stripe and Zapier to send plain text emails to customers (and custom email notifications to site owners) for Stripe payments?